Home » Featured Post » How Important Is The Stroke Of A Linear Actuator? 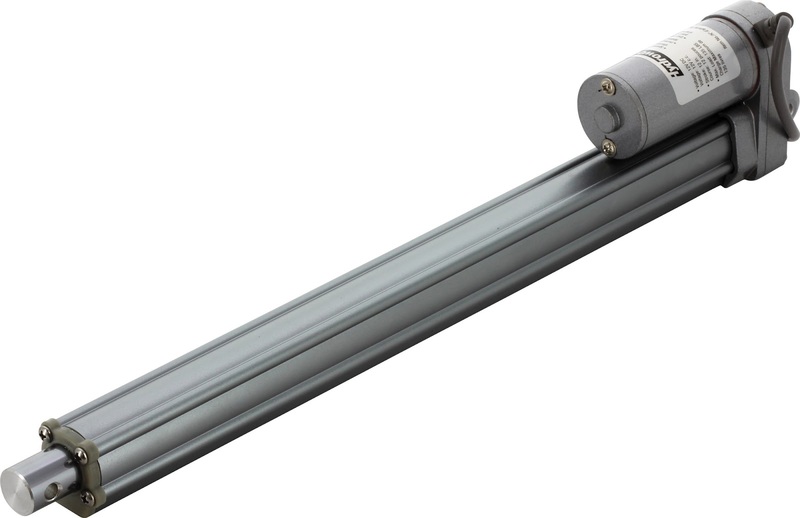 How Important Is The Stroke Of A Linear Actuator? An actuator has many different characteristics, including but limited to input voltage and current, duty cycle, speed etc. The stroke is one of the parameters, but it is used only for linear actuators. It is a quality that characterizes the length the mechanism is propelled to. So, what is it defined by, how do you measure it and how can you change it? Let's find out. What Is The Stroke Defined By? The principle most electromechanical linear drives are based on is the transformation of rotation of an electric motor into a linear motion of the actuator. Mostly it is achieved by using a screw that is rotated by a motor. The end of the screw pushes a ball (sometimes called a nut). Its movement is easily converted into linear movement. Basically, this means that the stroke of the actuator is closely connected to the helix pitch distance of the screw. Sometimes the extra accuracy of the linear actuator is achieved by using a stepper motor. In this case, the helix pitch distance is not as important in the definition of the stroke. Instead, it mostly depends on the step of the motor. How Do You Measure The Stroke Of An Actuator? If you’ve bought your linear actuator from a trustworthy source, like the Progressive Automations website, you can easily find the value of the stroke in the data sheet provided with it. However, if you don’t know the model of the actuator you’ve bought or if you want to use an old engine from another project, you might encounter a problem with determining the stroke. This problem can be quite easily solved. You just need to subtract the length of the retracted actuator from the length of its fully extracted state. Remember to measure the length from the base of the actuator to the center of the hole on the end of the pole. Can You Change The Stroke? This external device will stop the actuator if it is too long for you. Just plant it at the length you need, and when the rod presses on it, it will stop the movement of the motor. This option is also meant for actuators that are too long for your taste. The way you use it is mount a sensor around the place you want your actuator to stop. The sensor will detect the movement of the rod and the software will stop any further movement of the actuator. This way you won’t really influence the stroke, but it is perfect if you want to extend the reach of your engine. Overall, the stroke is an important parameter of the linear actuator. Be sure to pay attention to it if you want your project to be successful.